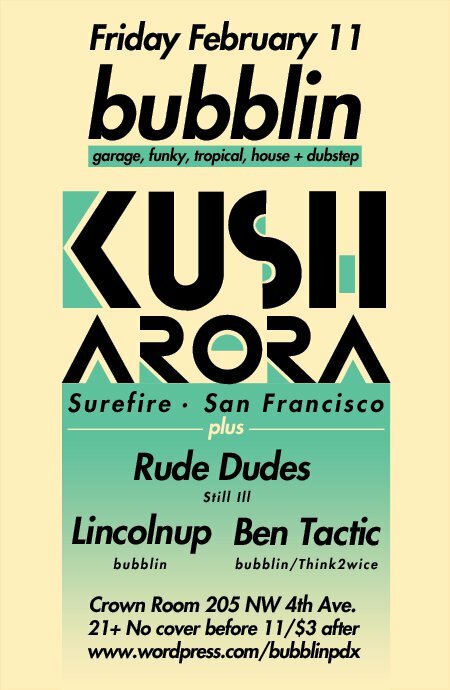 Bubblin keepin it hot in February with Kush Arora and RUDE DUDES! Kush Arora has been sculpting sound in San Francisco and beyond for the past decade. He has branded his own signature imprint on bass driven music. All shades of Dub, Garage, Dancehall,and Indo-Caribbean influences merge into the unique genre known worldwide as Dread Bass. Intelligent yet driving, cultural and simultaneously resistant, the tunes walk the balance between the club and the studio, keeping motion in mind.With these futuristic stylings, Kush wears many hats all rooted in Dub and Electronica. These influences can be heard throughout his diverse, 10-record discography. Active in SF, Kush is a member of Surya Dub which was awarded Best Club Night by SF Weekly for two consecutive years (2007-08) and has been at the center of the West Coast Dread Bass, Dubstep, and Electronica movement. Kush would find himself on the road frequently as ambassador for the Surya Dub Crew, opening for the likes of Flying Lotus, The Bug , SubSwara, Bassnectar, and Thievery Corp. 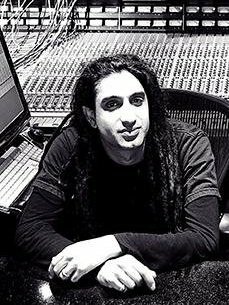 Recent production work has Kush remixing artists such as Elephant Man, Lady Chann, Balkan Beat Box, Zion I, Nickodemus,and many more. In turn his tracks have been remixed by the likes of Rogue State, Eskmo, and England’s Steakhouse Crew. His work has caught attention of Pitchfork Mag, who referred to him as a “laptop musician extraodinaire”, BBC 1’s Mary Anne Hobbs dubbed his Brooklyn To SF release “a beautiful piece of work”. Recently, the “Voodoo Sessions” EP revealed a new dance and bass fueled injection into Kush Arora music combining African, Funky, and Bashment influences. 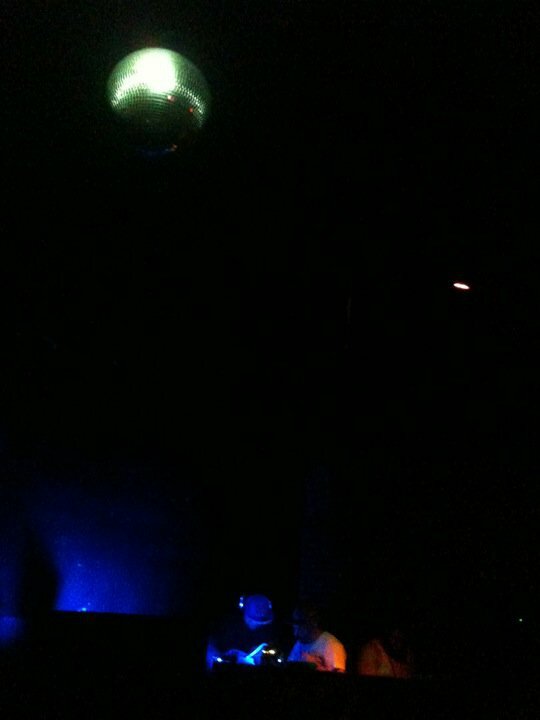 This showcases the diversity of his sound system live Dub performances. conventional duo, Rude Dudes are smashing genres and putting them back together in a crazy blender, lighting up parties and shows for the last 3 years. Doing what DJ’s call 1’s, with 2 turntables and mixer, they mix back to back, always working the mixer, blowing through records at a mindblowing speed. Rude Dudes have shared the stage together and seprately with the likes of Chromeo, Kid Sister, Flosstradamus, Z-trip, Ladytron, Major Lazer, A-trak, Ghostland Observatory, Simian Mobile Disco, Little Boots, and many more. Playing every genre under the sun, from Electro to Bmore to Hip Ho, Dubstep, Moombahton, House, Baile Funk, and Funky, they’re always bending genres and melding tracks for an insane ride. This entry was posted on January 19, 2011 at 2:21 pm and is filed under Uncategorized. You can follow any responses to this entry through the RSS 2.0 feed. You can leave a response, or trackback from your own site.